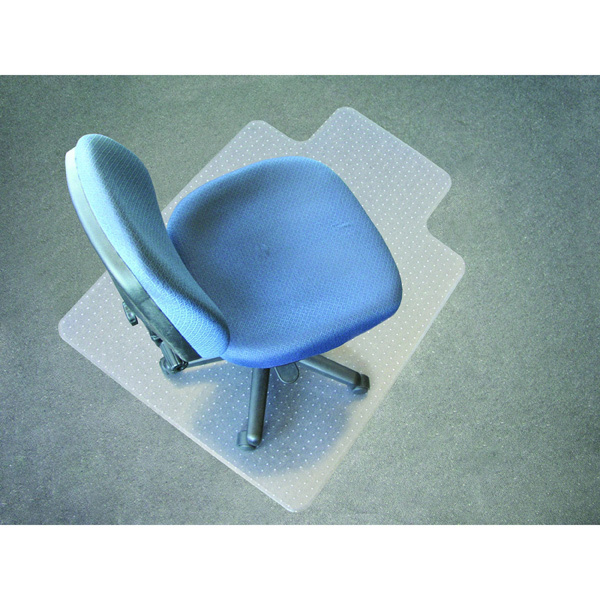 Chairmats (or chair mats) are ideal for office and home environments to protect floor surfaces from excess wear. 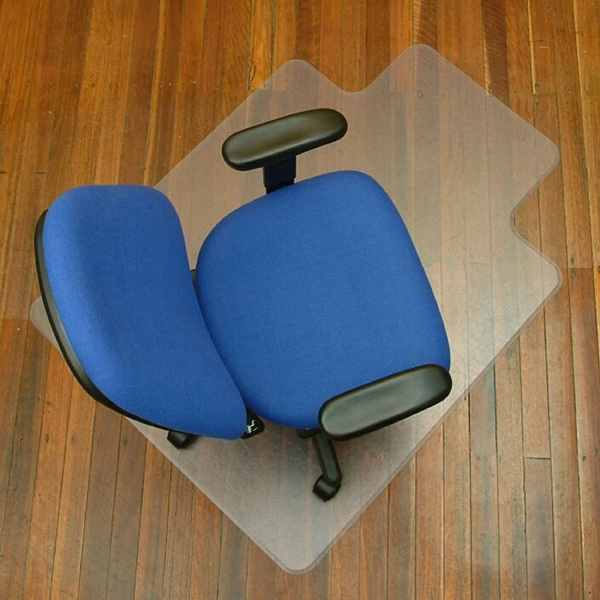 We offer a range of chairmats to suit almost any need and flooring type. 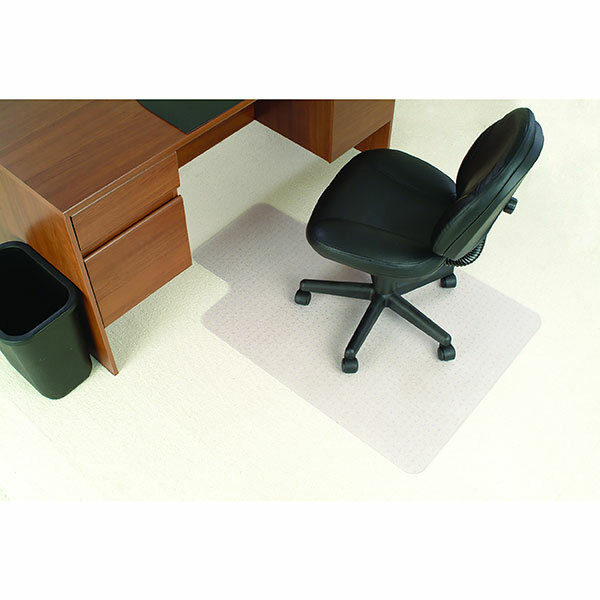 From low pile, medium pile, deluxe pile and super deluxe pile chairmats for carpet, to hard floor chairmats and chairmats for use with computers. Download your free guide on how to choose a chairmat. 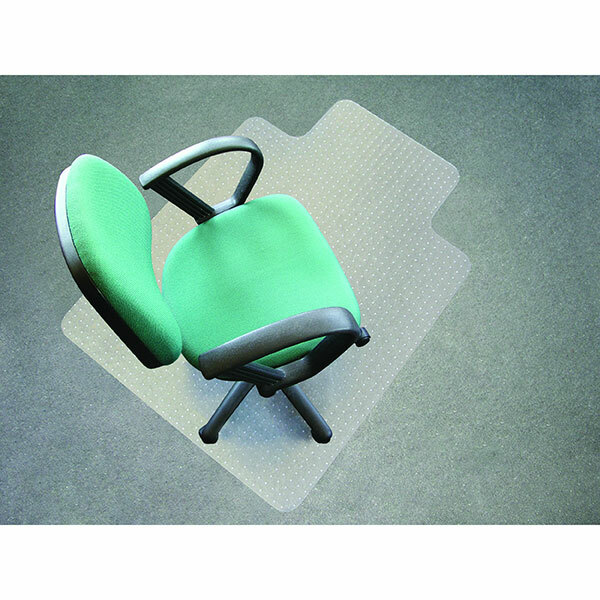 Economical, budget chairmats for low pile carpets with NO underlay. IMPORTANT - For carpet thickness 6 - 9 mm with NO underlay, for example: carpet tiles or economy carpet. Straight edge. 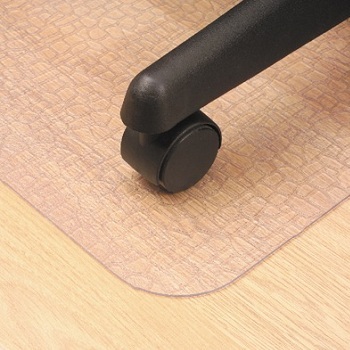 Featuers the new AnchorBar® flat gripper for stay-put performance on low pile carpet. Keyhole shape - 91 x 122 cm size. Premium quality chairmats for low pile carpets. Ideal for any size office, frequent use. IMPORTANT - For carpet thickness 6 - 9 mm including underlay. Durable mat for use with low pile carpets with minimal underlay. Ramped edge for easy roll on/off your mat. Notched stud gripper back to prevent mat from slipping whilst being safer for your carpets. Keyhole shape - available in choice of sizes. Premium quality chairmats for medium pile carpets. IMPORTANT - For carpet thickness 9 - 12 mm including underlay. Extra thick, durable mat for use with deeper pile carpets. 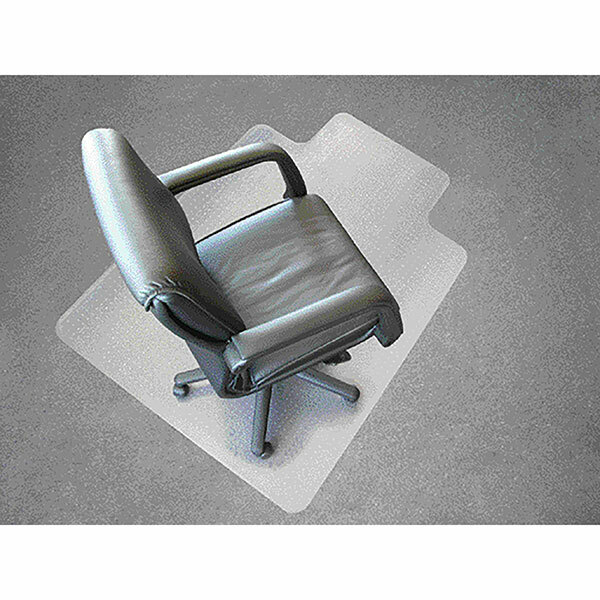 Premium quality deluxe chairmats for heavier pile carpets. IMPORTANT - For carpet thickness 12 - 15 mm including underlay. Extra thick, heavy, durable mat for use with deeper pile carpets. 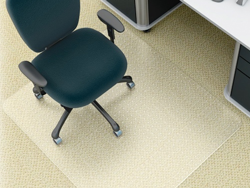 Premium quality chairmats designed for hard floors. IMPORTANT - Recommend for hard floor use only. Ultra clear vinyl construction with a smooth back to prevent damage to hard floors. Suitable for hard floors, including lino, tile, wood, vinyl and concrete surfaces. Ramped edge for easy roll on/off and non-trip safety.